Coffee filters aren’t made equally. There is a significant difference between metal and paper filters. The latter dramatically reduces the number of small coffee particles, called fines, that may end up in your cup. The more fines, the thicker the body or mouthfeel of the coffee. The advantages of paper filters are obvious. They are disposable, so cleaning is not necessary. They also provide more flavor clarity and a lighter body. Paper filters are a finer filter; a permanent (metal) filter will permit some larger particles through to the cup. The paper filter holds those particles back as well as the oils that naturally occur in coffee. Coffee oils contain flavor and aromatic compounds that change the taste and mouthfeel. Since taste is subjective you could see this as an important factor. 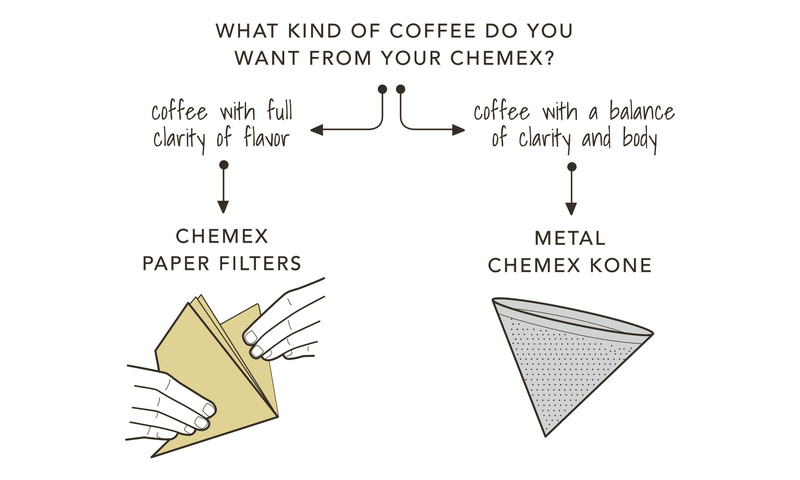 Metal filters, generally made out of stainless steel or aluminum, create brews with fuller bodies and stronger flavors. They don’t filter out as many oils or fines as paper filters do, so the flavor notes tend to be more muddled together with less clarity. Some coffee drinkers may prefer stronger, fuller-bodied flavors and thus may favor metal filters. When it all comes down to it, choosing which filter to use all depends on personal preference. You must pick and choose which aspects of your coffee experience matter most to you.